The first trimester may have crawled, but this second trimester is so far flying by! No complaints here! I send Parker pictures regularly of the growing bump, and his response is always something to the effect of "wow!" or "that's crazy!". My thoughts exactly, hubs. It was a fairly uneventful week, but I have learned in pregnancy that uneventful is a good thing! Here's what I want to remember about week 15! 1. I started incorporating running into my power walks this week! I am still mostly walking, but it feels so good to mix it up with a little running every now and then. 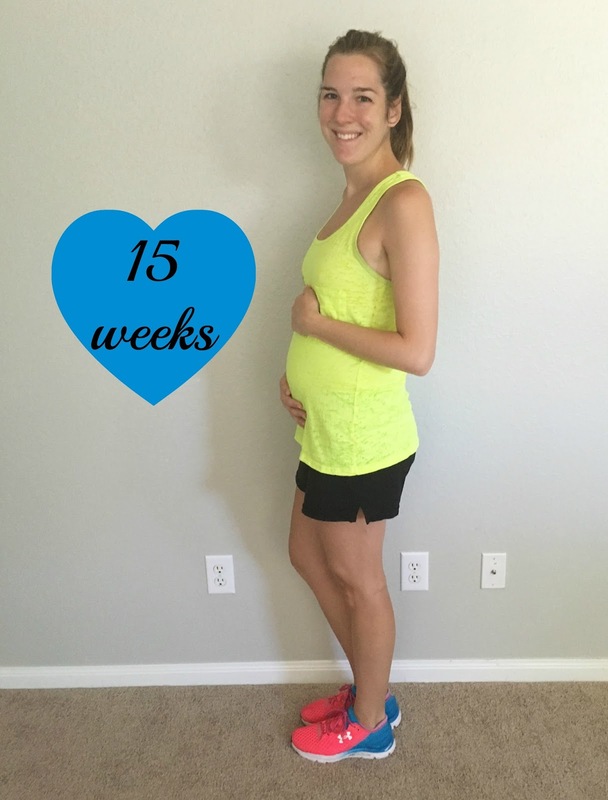 I was a runner before I got pregnant and have been so looking forward to feeling well enough to run, even if it is at a snail's pace! 3. I eat sandwiches all. the. time. I'm only allowed to have deli meat if it's heated up, so I enjoy a panini every single day with turkey and cheese. It's what I most look forward to eating! I actually had two in one day recently... I wasn't mad about it. 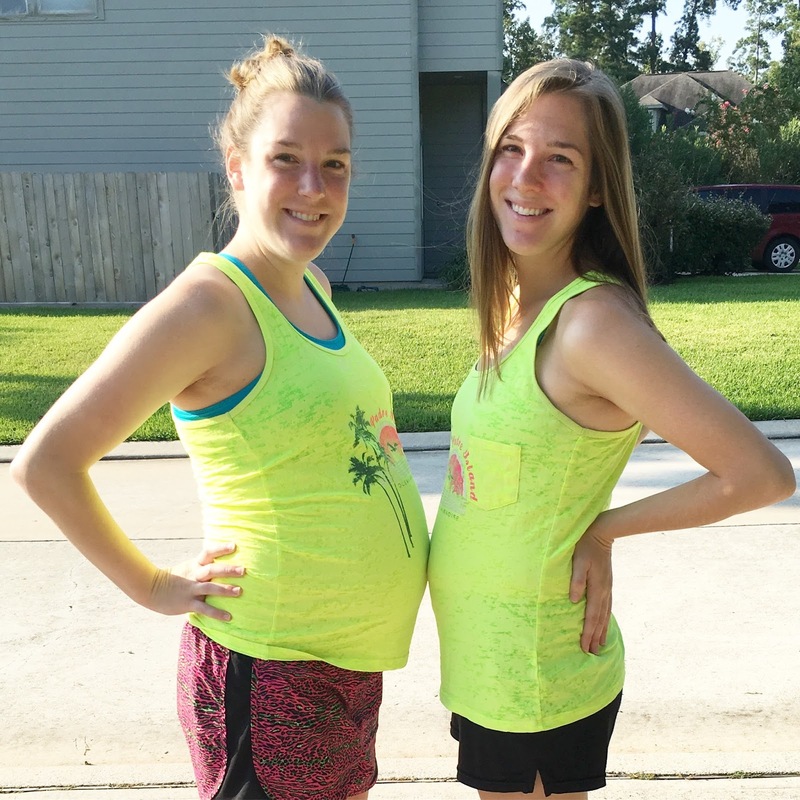 Twin sister and I at 39 weeks and 15 weeks. Our first and quite possibly last bump to bump picture! You look so beautiful - and the bump is so precious! Isn't it so funny to watch your body change and grow and feel that little life take shape inside of you? It's such a gift - and so exciting to share this time with your twin, no less. Wishing you all the best! You should check out Zulily for boy clothes. I find stuff on there all the time! Also you are adorable with your bump!